Chef Dave has out done himself with this light and delicious salad. 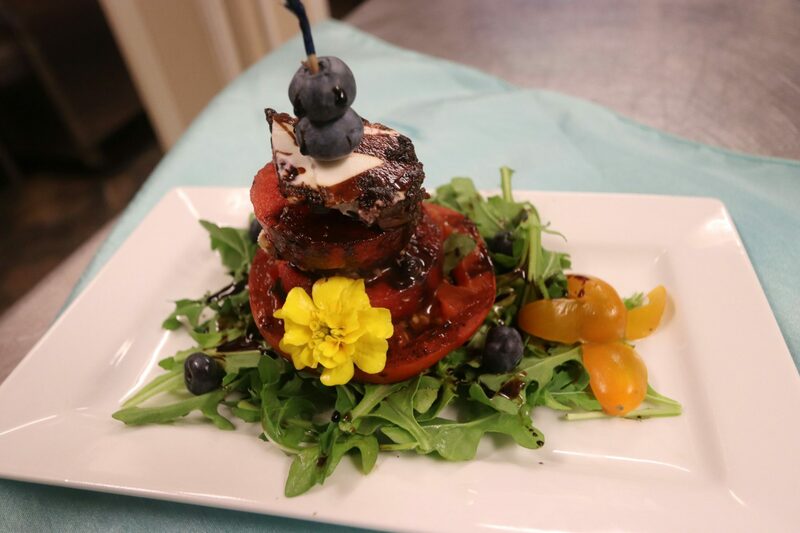 Layered with summer favorites…..local tomato, Watermelon and goat cheese salad lays on spring mix, topped with blueberry vinaigrette and garnished with marigolds from Aunt Terry’s garden! Come and try it on Saturday the 18th or Friday the 24th from 5:30-9:00, call me at 207-992-4090 or visit opentable.com for reservations!